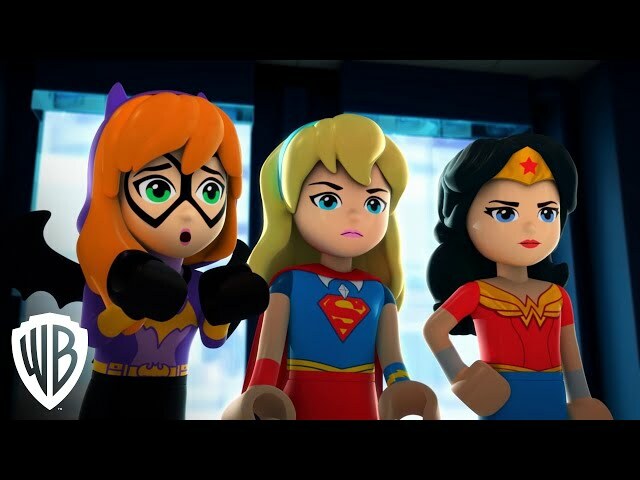 Lego DC Super Hero Girls: Brain Drain (film, 2017). An American animated direct-to-video film by Warner Bros. Home Entertainment and Warner Home Video. Directed by Todd Grimes. Official Trailer. Lego DC Super Hero Girls: Brain Drain is an American animated direct-to-video film directed by Todd Grimes. 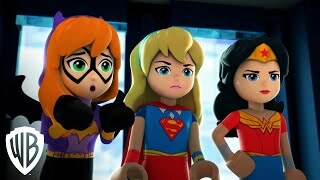 LEGO® DC SUPER HERO GIRLS: BRAIN DRAIN Trailer. The entire planet is in peril as Wonder Woman, Supergirl and Batgirl have to battle an unknown villain as well as short-term amnesia. The trio thought they all had the same bizarre dream where they witnessed Katana and Bumblebee stealing diamonds. They gave chase, but then they all woke up. Turns out the events didn't only happen in their heads, and the three girls slowly started to understand they lost some time - a whole day. Others remember their missing 24 hours. The girls all acted extremely out of character, doing things like uploading an embarrassing video of Harley Quinn without her permission and replacing the school's Amethyst with Principal Waller's car. Their activities get them expelled. That makes them realize not everything is as it seems and leads them on a chase towards the hidden mastermind behind the plot, Eclipso. The film Lego DC Super Hero Girls: Brain Drain was scheduled to be released by Warner Bros. Home Entertainment and Warner Home Video on July 25, 2017 (Digital) and on August 8, 2017 (DVD).